To keep the league with an even number of teams, a formal expansion proceeding was held, with a second team, the Blue Jays, being awarded to the city of Toronto also allowing both leagues to place a team in Canada; the National League’s Montreal Expos having been established in 1969. 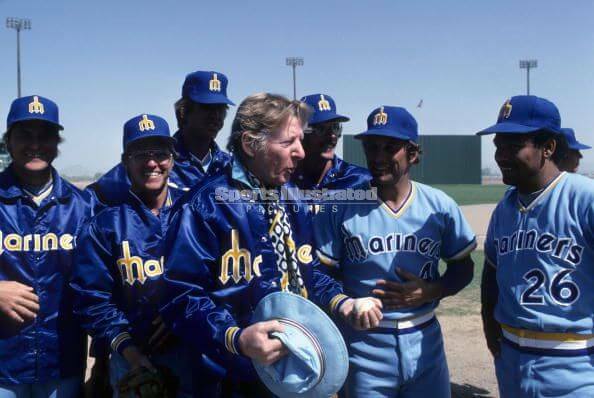 The new Seattle team, to begin play in 1977, would be owned by entertainer Danny Kaye, along with Stanley Golub, Walter Schoenfeld, Lester Smith, James Stillwell, Jr. and James A Walsh. The Mariners played their first game on April 6, 1977, to a sold-out crowd of 57,762 at the Kingdome, losing 7-0 to the California Angels. The Mariners were created as a result of a lawsuit. In 1970, in the aftermath of the Seattle Pilots’ purchase and relocation to Milwaukee (as the Milwaukee Brewers) by future Commissioner of Baseball Bud Selig, the city of Seattle, King County, and the state of Washington represented by then-state attorney general and later U.S. Senator Slade Gorton sued the American League for breach of contract. Confident that Major League Baseball would return to Seattle within a few years, King County built the multi-purpose Kingdome, which would become home to the NFL’s expansion Seattle Seahawks in 1976. The name “Mariners” was chosen by club officials in August 1976 from over 600 names submitted by 15,000 entrants in a name-the-team contest. In the early 1990s, the Seattle Mariners were available for sale and Washington State Senator Slade Gorton asked Nintendo of America to find a Japanese investor who would keep the club in Seattle. Yamauchi offered to buy the franchise, even though he had never been to a baseball game. Although the owner accepted the offer, the MLB commissioner Fay Vincent and ownership committee were strongly opposed to the idea of a non-North American owner and did not approve the deal. 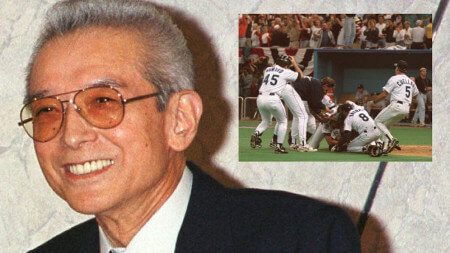 However, following the strong support and sentiments of the people of Seattle and press the commissioner formally approved the deal, under the condition that Yamauchi had less than 50% of the vote. This was a major development in American baseball, because this opened the gates for Japanese baseball players to American league teams, which had been previously denied. In 2000, the club made its first profit of $2.6 million since its acquisition by Yamauchi. Yamauchi never attended a Mariners game. Safeco Field (sometimes referred to as Safeco or The Safe) is a retractable roof baseball stadium located in Seattle, Washington. 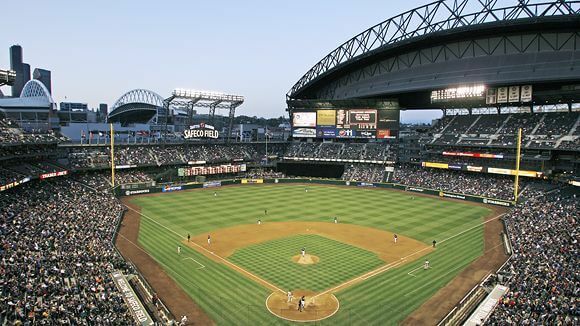 The stadium, owned and operated by the Washington-King County Stadium Authority, is the home stadium of the Seattle Mariners of Major League Baseball (MLB) and has a seating capacity of 47,574 for baseball. Construction officially began on March 8, 1997 with a groundbreaking ceremony featuring Mariners star Ken Griffey, Jr. The construction, overseen by Chief Financial Officer Kevin Mather, continued until July 1999. The first game in the new stadium was played on July 15, 1999 against the San Diego Padres. The Padres won, 3–2. Who is the greatest Seattle Mariners?